Scooper - Technology News: Is power becoming more female? Is power becoming more female? Five-hundred years ago, Niccolò Machiavelli published The Prince , a tome that became the foundation of how we understand the pursuit of power. Power, he argued, could only be gained through manipulation, cunning, intimidation and coercion. Indeed, the term “Machiavellian” continues to be widely used as a description of unscrupulous behaviour in the pursuit of power. In Machiavelli’s time, few women held positions of influence. But this is changing as the number of women in the workplace increases. So is Machiavelli’s method of gaining power out of date in modern-day business and politics? Professor Dacher Keltner , director of the Greater Good Science Center at the University of California, Berkeley, thinks so. In his new book, The Power Paradox , he argues that these days, the way to get to the top is to work towards the greater good. One of the main reasons that Keltner cites as being behind the shift to this subtler and softer way to gain power is down to the increasingly multi-faceted and multi-cultural world that we live in today: “Work is much more ethnic, much more multi-cultural and you have to work out how to collaborate with people very different from you,” he told Radio 4 presenter Mishal Husain. Keltner also cites the increasing presence of women in the workplace as a key factor that has determined this shift. 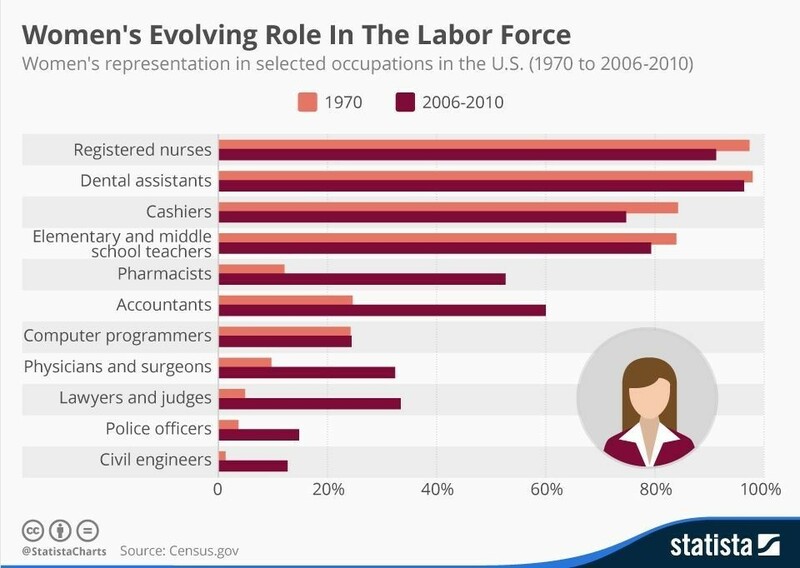 Indeed, since 1970, women have not only entered the workforce in greater numbers, but have entered occupations where previously they had scant representation. For instance, the census survey in the United States showed that, in 1970, only 9.7% of physicians and surgeons were women, in 2010 that number had grown to 32.4%. A similar trend can be seen in other professions such as law and accountancy, which have seen an increase of 4.9% to 33.4% and 24.6% to 60% respectively. A study by the Pew Research Center would seem to back up his theory. The research looked at people’s attitudes towards male and female leadership, researchers found that women did better than men at exhibiting honest and ethical behaviour, and within politics they were much better at working out compromises. There is a sting in the tail, however. Keltner’s book says that once we gain power, we revert to Machiavellian characteristics, thus abandoning all those things that got us there in the first place.